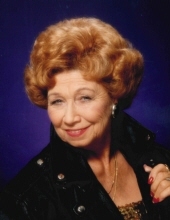 Ina C. Burns, 86, of Union Township, passed away Friday, February 8, 2019 at her residence. She was born July 12, 1932 in Bristol, VA, daughter of the late Cass and Maude Turner Barker. She was the widow of the late Eugene C. Burns, who passed away in 2002. In addition to her husband and parents she was preceded in death by her son, Jeffery Allen Burns and 9 brothers and sisters. Ina owned and operated Sparkies Lounge in Amelia for 42 years and she loved every patron that walked through her doors. She is survived by her daughter, Carrie Kollmann and husband Allen; grandchildren, Katelyn Powers, Jacob Powers and wife Rachel and Paige Yaden; great-grandchildren, Kane Stith and Kolin Stith; sister, Ivalene Barker; several nieces and nephews and her beloved bar patrons. Ina will be cremated. Family and friends are invited to a memorial gathering from 5:00 – 8:00 PM, Friday, February 15, 2019 at E.C. Nurre Funeral Home, 177 W. Main St., Amelia, OH. Please sign her online tribute wall at www.ecnurre.com. "Email Address" would like to share the life celebration of Ina Clara Burns. Click on the "link" to go to share a favorite memory or leave a condolence message for the family.